Still from Marie Anne’s TV- with thx! 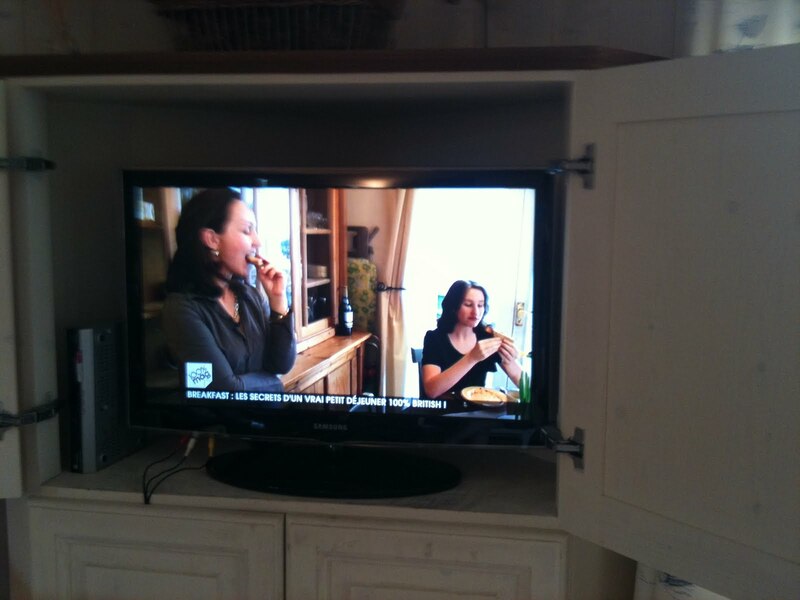 Our family breakfast was filmed for M6 in their magazine “100%Mag”and is now on replay at http://www.m6bonus.fr. Go and view if you want to know everything the French think of a full English breakfast! There you can learn how to use a spurtle and make a proper Scots’ porridge. Tempted? You should be: it’s delicious and nutritionally very sound – they’ve even brought in a nutritionist to explain – told you! Make your porridge with three parts water to one part rolled oats and a pinch of salt. Cook it on low heat while stirring until it coats the back of the spoon. Serve hot with a dash of single cream. I like mine with agave syrup and half a grated apple, sprinkled with cinnamon. 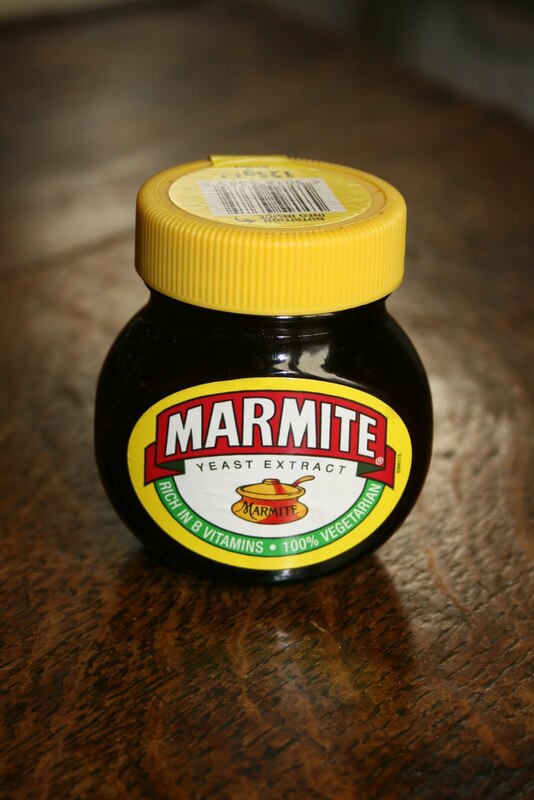 Of course, in the course of the filming, I HAD to mention Marmite : love it or hate it but try it! You’ll be a true anglophile when you do… I love it over a scrap of butter on a dry toast. It’s also nice with cheeses like cheddar. This entry was posted in English traditional and tagged M6, marmite, TV. Bookmark the permalink.